Our Texas Travel Guide will introduce you to the remarkable Lone Star State where everything is bigger and better, where you learn to ride horses and wear the boots before you even learn to walk, where almost everybody owns at least one good ol’ Western hat and a pair of cowboy boots, where it takes you 17 hours to just drive across the state from the north to south. Bigger than any state in the country with an exception of Alaska, Texas offers its visitors a chance to experience some of the unique encounters with its vibrant culture, great outdoors, smoking cuisine and some of the friendliest folks in the country. Texans are also very proud of their state and possess an incredible sense of humor and wit and make all visitors feel right at home and will even guide you through a plethora of sightseeing options. So common over yonder and giddy up for some good ol’ Texas fun! Today Texas is definitely not what it used to be and Wild West cowboys that we come to associate the state with are definitely the thing of the past and could only be observed if you head over to one of the historical grounds like Fort Worth Stockyards or find yourself at the bigger than life Texas State fair, or smaller local fests that are so popular here. Modern Texas is one of the economically booming areas in the country that shows off its glitz and glamour of the big cities along with its true Texas charm in smaller Southern towns all over the state. Texas vacation is just hands down a perfect getaway with your family no matter whatever it’s you are looking for. When planning a perfect Texas vacation it’s smart to take into consideration the local climate. You know you are a true Texan if you are cranking up your furnace and AC all on the same day in February. Winters are very unpredictable and days can jump from high 70’s right down to the 30’s within a course of a few hours. It’s also not unusual to celebrate Christmas wearing shorts one year and making a snowman the next. The summers are downright brutal and do not allow for comfortable outdoor sightseeing on 110F full sun days. 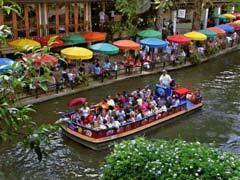 Mid to late fall and early spring is the absolutely best time to come to the Lone Star State for a comfortable and enjoyable vacation. 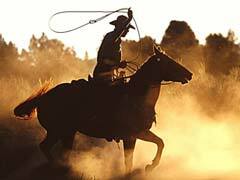 Below, allow us to guide you through a horse load of Texas destinations. 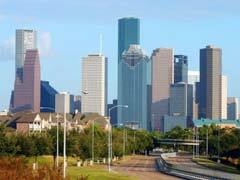 Houston is a typical concrete jungle city that is spiced up by an extensive network of multi-cultural restaurants and shops and one of the largest in the country oil and natural gas producer. Johnson Space Center is one of the most popular attractions devoted to the operations, facts and history of the NASA operations. Visiting the local Museum District will give you a chance to pick among 18 museums of Art, Natural Science or History. Just an hour ride to the southwest will land you in a perfect Gulf beach getaway. Austin, the capital of Texas, and one of the “weirdest” cities flaunting its liberal side every chance it gets in otherwise very conservative setting of the Lone Star State. “Keep Austin Weird” is the local motto that speaks for itself and allows for self expression of progressive students, hippies, bohemian and gay crowds that are drawn to the capital due to its very much laid back attitude. Top US colleges, live jazz and rock festivals, pristine cultural venues, high end restaurants and a variety of attractions create an eclectic melting pot for you to experience in the heart of the state. From touring Texas State Capitol to UTA, to a series of museums and art galleries, the City is for you to explore. Definitely hang out in the downtown Warehouse district and take a stroll along the Zilker Park. Dallas and its sister city Fort Worth form a DFW alliance metroplex offering its visitors some of the most curious historical Texas attractions. While at the DFW for a few days you should not miss the JFK’s assassination historical spot located in the Dallas downtown area on the Elm Street by the Dealey Plaza where you can spot two infamous X marks that denote where two bullet shots landed. Visit the Sixth Floor museum commemorated to honor the legacy of the JFK and his family that guide you through the tragic details with precision using various audio, video and visual props to help visitors understand what happened on that day. Stick around the downtown area and take a horse carriage ride and stay longer to sample fantastic Texas grub, buy a pair of boots or souvenirs to take home. In Forth Worth, the famous Zoo rated among the top 5 Zoos in the country is a must to see. And, of course, no Texas vacation is compete without visiting the historical FW Stockyards allowing you to go back in the history of glorious cowboy days. Watch the long horns’ cattle drive, walk around historical western shops, saloons and soak in the atmosphere of good ol’ days that are very well preserved around here. Stay late to attend one of the oldest Texan traditions, Rodeo shows at the grounds of historical Stockyards. San Antonio is the place where historical battlegrounds of Alamo are located continuously drawing millions of tourists annually to witness facts about one of the most famous battle in the country that ultimately contributed to the history of Texas and the US in general. The city is a very curious collection of Spanish and Mexican cultural heritage that is mostly centered around the Market Square and the famous San Antonio Riverwalk, the true entertainment and dining Meccas of tourists coming to Texas offering an endless array of restaurants, cafés and lodging options. According to many Texas travel guides, Sea World is another coveted among tourists landmarks that offers unique sea creature encounters for young, old and in between ranging from sea lions, dolphins, exotic fish and even whales. Galveston is a wallet friendly beach vacation spot in southwestern Texas. It offers everything you expect from a beach town: the ocean, infrastructure of hotels, restaurants and cultural attractions all set in a cozy environment. The town is also a starting point for many cruises departing from Galveston to the Caribbean destinations. Fishing, swimming, boating, shopping, museum going and delicious dining is awaiting you at this Texas beach resort. Padre Island is a long stretch of a sandy island situated along the southwestern tip of Texas. One of the most beloved destinations of family vacationers all year round and recently the Island has become a favorite destination for rowdy spring breakers. Apart from the spring break season, head here during the fall or winter months to find a perfect Gulf vacation getaway completed with peaceful strolls along the beach, swimming, collecting seashells amidst vast sand dunes and trying quite decent seafood fare. El Paso is a city situated right along the Western border between the US and Mexico. The River Rio Grande slices up the territory and forms a natural border that is heavily patrolled by the US border patrol. The remarkable difference between both sides is easily detected where one side is a peaceful southern Texas City and the other side of the river is a territory where drug related crimes are out of control, considered one of the most dangerous areas in the world. However, do not let this fact distract you from exploring the natural beauty of El Paso. The terrain is gorgeous with breathtaking mountain sceneries, hills and deserts at the same time you are not likely to find anywhere in Texas. Among attractions, Border Patrol Museum is a top recommended attraction that will be a delight for all ages of travelers. The tacos and enchiladas are as authentic as you will get anywhere in the country in EP. Go see the best in Texas rodeo and grab yourself a premium pair of handmade boots that will make your friends green with envy. We really hope that our Texas Travel Guide will inspire you to come down south and explore what Tex-Mex culture has in store for you and your family.